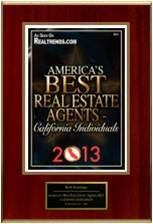 Brett Jennings of Los Gatos, California, has been selected by Realtrends.com as one of "America's Best Real Estate Agents of 2013." This special recognition recently appeared in the August 2013 issue of Realtrends.com. With over one million agents in the country, this prestigious award places Brett in the top 1/10th of the top 1% amongst his peers. REAL Trends is a consulting and communications company for the residential real estate industry and is widely known as the trusted source for collecting and reporting data, news, and trends. Realtrends.com ranks, collects and verifies all data to produce unbiased and ethical industry reports and analytics. Brett Jennings commented on the recognition: "This is quite an honor for me. The fact that Realtrends.com included me in its selection of ‘America's Best Real Estate Agents 2013 ‘ signals that my constant effort to deliver a high quality experience for our clients as we grow our company has paid off. It is gratifying to be recognized in this way." His website SiliconValleyRealEstateSearch.com ranks on the 1st page of Google for “Silicon Valley Real Estate” and attracts hundreds of thousands of views annually through the use of direct response and search engine marketing as well as social media. This aggressive approach to internet marketing represents just one segment of his 115 point home selling process that has sold his clients homes for up to 18% more than neighborhood averages. with his wife Rebecca and their two children. 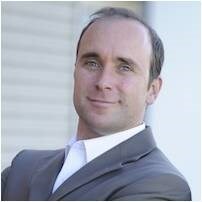 SVHOME Real Estate Experts Inc.
"Brett Jennings is Proud to Support The H.O.M.E. Foundation"